Our current crayon collection has come to a sad point where they are all broken and torn pieces.Which means that they are perfect for two of my favorite projects, making crayons (which i hope to do next week) and crayon rubbings. 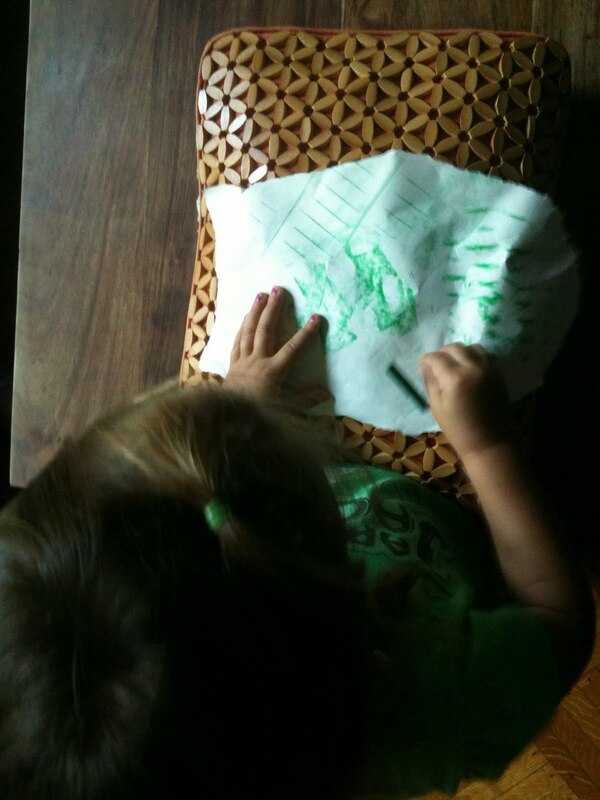 The other day I showed the Bee how to make a crayon rubbing by placing a piece of paper over a textured surface and rubbing the side of the crayon on the paper. She was amazed at how the texture magically appeared on the paper and has been trying rubbings on every surface possible.